Monrovia Unified School District celebrated Dual Enrollment Week March 18-22, highlighting Monrovia High School students who are enrolled in the district’s Early College Program. The partnership between the District and Citrus Community College offers students a path to college through courses that meet high school graduation requirements and provide college credits simultaneously. Monrovia Unified School District will honor 10 exemplary volunteers – one from each school – during its Golden Apple Awards from 8 to 10 a.m. Monday, March 25 at Basin 141, 402 S. Myrtle Ave., Monrovia. Community members will be recognized for help in the classroom, assistance with events and dedication to Monrovia Unified students. Clifton Middle School students excited audiences with fan-favorite sing-alongs as they performed a new, fresh approach to “High School Musical Jr.,” directed by Clifton alumna Keely Milliken, on March 21-22. 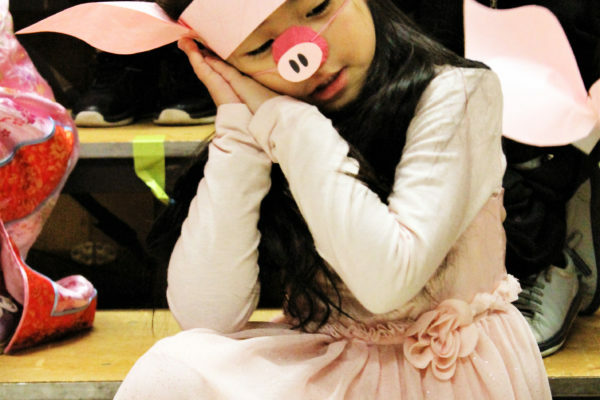 A total of 44 Clifton students participated in the production, working on stage and behind-the-scenes. The “High School Musical Jr.” production addressed the stereotypes and conflicts in the day-to-day life of students and showed how characters take the high road and accept the differences in people. Monrovia High School’s spring production, “In the Heights,” will premiere at 7 p.m. Friday, March 22 at the Louise K. Taylor Performing Arts Center, 845 W. Colorado Blvd., Monrovia. Additional performances will be staged March 23, 29 and 30. “In the Heights,” directed by Nathanael Overby, follows the life of a young store owner in the Washington Heights neighborhood of Manhattan as he observes the joys and heartbreaks of his tightknit community. More than 15 Monrovia Unified students are “rocking the bald” look after the fourth annual Old Town Monrovia FuzzFest on March 15, when they helped raise more than $25,000 for childhood cancer research through the St. Baldrick’s Foundation. Students from Santa Fe Computer Science Magnet School, Monrovia High School, Clifton Middle School and Monroe and Mayflower elementary schools raised money. Photos are available. Parents can learn about Monrovia Unified’s elementary school programs and services during Transitional Kindergarten/Kindergarten (TK/K) Preview Night at 6 p.m. Monday, March 18 at Monrovia Unified School District Office, 325 E. Huntington Drive, Monrovia. Parents will be able to meet with principals and discuss enrollment. 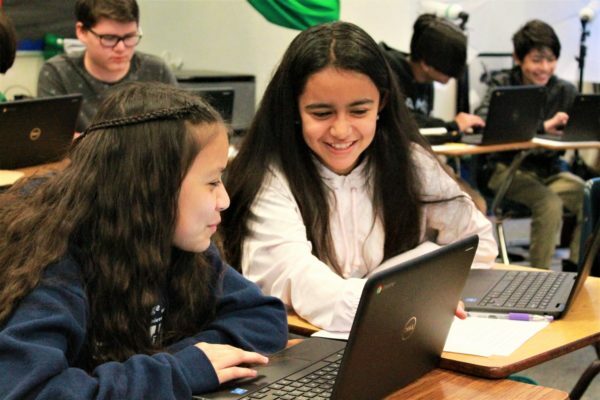 Monrovia Unified hosts innovative programs such as Code to the Future, Spanish and Mandarin dual-language immersion and visual and performing arts for each school. 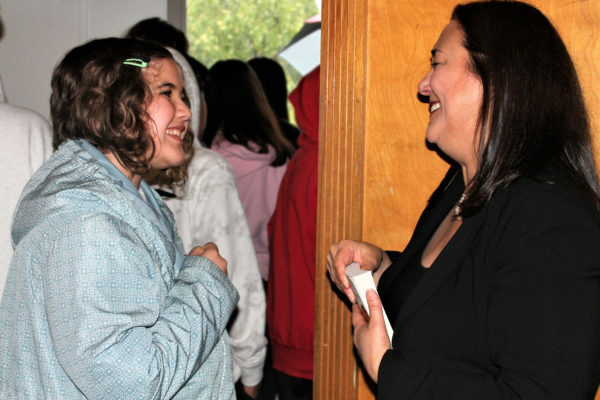 Erin Gruwell, the educator whose transformative teaching was featured in the 2007 movie “Freedom Writers,” inspired an assembly of over 600 students, teachers, and district staff at Clifton Middle School on Feb. 14. The presentation about the power of education garnered a standing ovation, as educators wiped away tears and students gathered to hug and thank the Freedom Writers founder for encouraging them to find their voice. Two Monrovia Unified teams from Monrovia High School and Clifton Middle School are advancing to the FIRST Tech Challenge (FTC) World Championships in Houston, Texas after dominating head-to-head challenges that included simulating space rover actions at the Regional Championships at Monrovia High School on March 9. 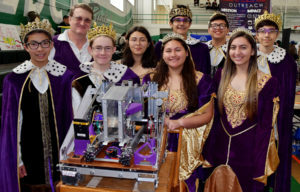 The Kings and Queens from Monrovia High and the Hippie Bots from Clifton Middle School landed the win after forming an alliance with a third team. Photos are available.